Poster for the Liberty Loan drive including only text. 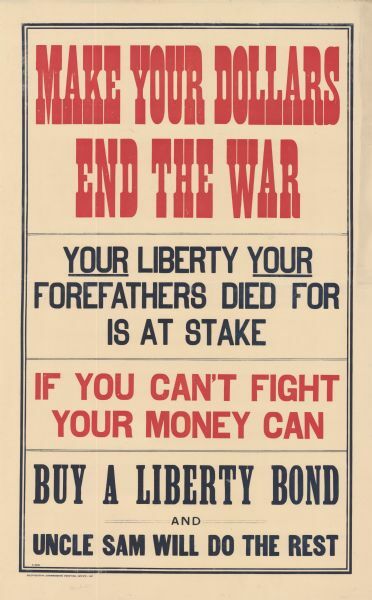 Poster text reads: "Make Your Dollars End the War. Your Liberty Your Forefathers Died for is at Stake. If You Can't Fight, Your Money Can. Buy a Liberty Bond and Uncle Sam Will Do the Rest." Poster number 2-3443. Washington, Government Printing Office, 1917.